High winds and flying debris can cause serious damage to your home and property. It does not take a tornado or hurricane to cause structural storm damage. It’s important that the damaged area is assessed, that exposed areas of the house are protected, and that debris is removed. If it happens to you, your first step is contacting a restoration expert. With one call to the our 24/7 line, you will speak with a staff member, who will dispatch our highly-skilled staff and will prevent further damage, secure the property and begin the restoration and reconstruction process. 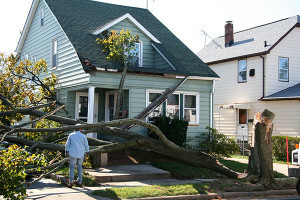 Regardless of the type or amount of damage, we can repair storm damage and restore your home and property to its pre-loss state. Combining the latest technologies with our highly-trained staff, we can handle all your clean-up, restoration, and reconstruction needs. We will also work closely with your insurance adjuster and agent every step of the way to mitigate the damage and get the job done right the first time to ensure your life quickly returns back to normal. 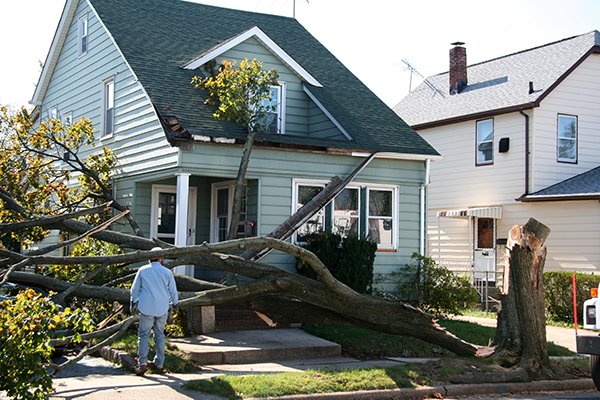 Whether or not you’re insured, we can assist with your wind damage restoration. Our top priority is restoring your property to its original condition, ensuring your home is clean and dry, and most importantly, safe for you to return to. Wind damage requires a special level of knowledge and state-of-the-art equipment. We are able to easily provide you with emergency board up/tarping services, arrange for power and heat if necessary, extract excess water, and remove all contents from the home for thorough cleaning and drying. We are highly skilled at repairing and restoring valuable items, such as jewelry, family photos, artwork, mementos, and antiques.